A combination of medication and behavioural treatment for ADHD is recognized as best practice. Let us join your team in partnership with your family and physician to help change lives! Attention Deficit Hyperactivity Disorder is a developmental disorder that affects executive function. 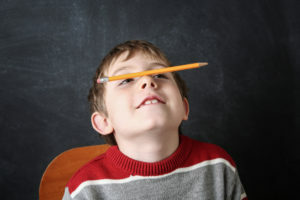 Skills associated with executive function include: self-awareness and self-monitoring; working memory (remembering what is to be done); and, contemplating future consequences. Working with children and youth with ADHD, the difficulties associated with contemplating future consequences is perhaps where the most conflict with social norms occurs. Individuals with ADHD have difficulty contemplating future consequences related to: proposed actions; planning, time management; remembering and following rules and instructions; self regulating emotion and motivation; problem solving to overcome obstacles to meet their goals; and, excessive variability in responses to situations – particularly associated with work (Barkely 2013, Ward, 2018). Sometimes individuals with a diagnosis of ADHD obtain extra supports at school through a Category R or H designation. Both of these are behavioural designations. Despite how common ADHD is within the population, ADHD treatment typically relies on medication alone, although other non-evidence based treatments may also be creep into use. While a designation of Category H leads to additional financial support at school which can lead to extra help, it can also lead to social exclusion and diminished educational experiences. BCTF quality of worklife studies consistently reveal that teacher stress and dissatisfaction is related to teaching to diversity in the classroom. While this is a complex topic, the reality in the classroom is that trying to insure the success of all students is challenging. Fortunately, these categories are labels that can be removed through the combination of behavioural therapy and medication (Barkley, 2013) leading to success of your child at school (and home). Your child can flourish! FIVE is offering a parent training workshop beginning fall 2018 titled: Managing ADHD in the Home: 8 Weeks to Better Behaviour. This training is for parents of children with ADHD aged 4-10 years old. This innovative training uses best practices to make a substantial change to the life of your family. Join us for 4 weeks of lessons as we meet bi-weekly to allow for implementation of the lesson. These are small group ADHD treatment training opportunities (minimum 6 and maximum of 10 parents), led by a Behaviour Analyst. At the end of the training, the Behaviour Analyst that led your training will meet with you one on one for an hour to troubleshoot specific concerns associated with your ADHD treatment plan and cheer for your successes! We recognize that there is no funding for youth with this diagnosis, so we are trying to make the price as manageable as possible: $250.00. The first groups will occur in Victoria, but if you would like this training your community and have six families, please reach out through our contact page – we love to meet up with our families close to your homes!